It is not easy for me to stay in this hobby. Many people around me just don't understand my interest and what I'm doing. Some of them even say that I'm crazy. Wasting my money, time and energy just for a little fish. So what can I say to this people ??? 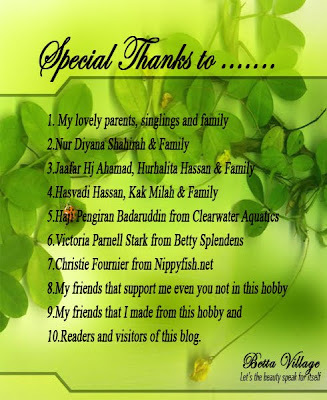 Last but not least, thanks to all readers of this blog.